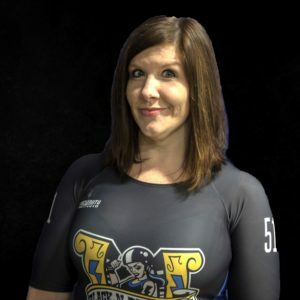 Why I play/Why BBRG: I joined derby as a way to enjoy energizing but I ended up needing it as an outlet for my aggression! I love how my team has become my family. These girls have supported me throughout some of the hardest times in my life! Tagline: She might be pretty in pink but she will leave you black and blue all over!